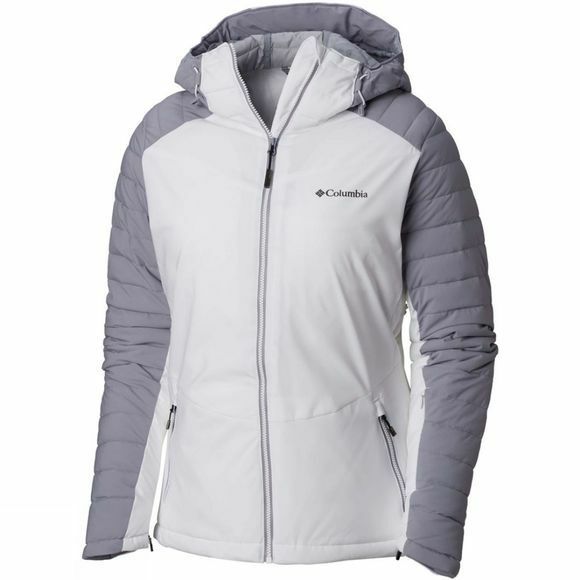 Explore the piste in comfort and style with this Womens Whistler Peak Jacket from Columbia. 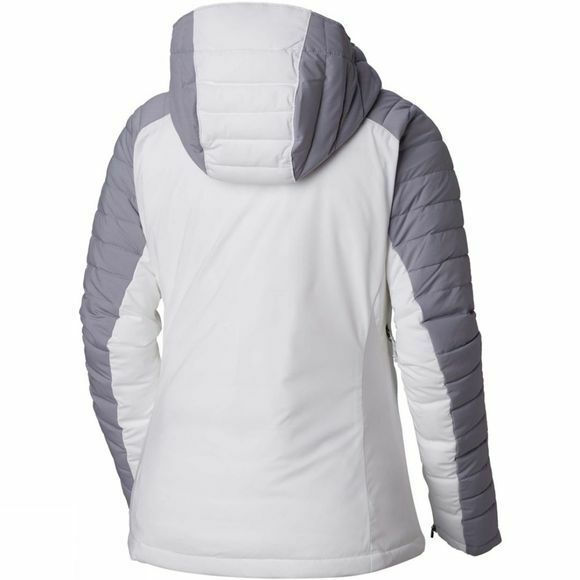 This jacket sports a down-baffle construction on the sleeves and hood with a sleek design on the chest creating a super-modern look. Water-resistant stretch fabric keeps you dry when weather changes, while the attached, adjustable hood protects your face from harsh weather conditions. When the temperature plummets keep your hands warm in the zipped hand pockets and enjoy the benefit of body heat thanks to the reflective lining. Convenient ski pass pocket, goggle pocket and interior security pocket keep your essentials secure.